We are VERY thrilled to have our work featured on the homepage of StarWars.com, the official Star Wars website. Today Empire Strikes Back Uncut was released, a fan based film endorsed by Lucas Films and Star Wars. We produced 2 of the 15 second clips in the movie, at 1:50:18 – 1:50:32 and 1:26:48 – 1:27:03, all created in 3d. 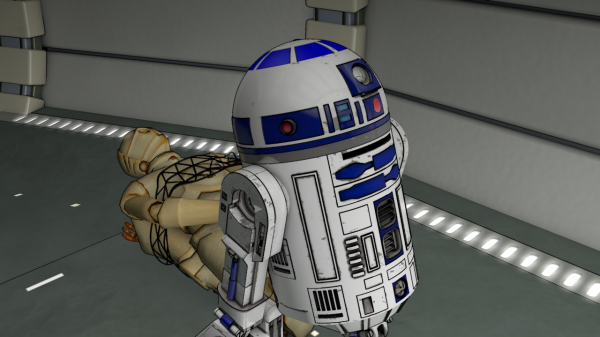 Our clips feature animated R2-D2, C-3P0, Princess Leia and Luke Skywalker which we created. Congratulations to my team, including Eluv whose custom music made it into the Cloud City clip, and to Andy Urban “Andy Braun”, Ahmed El-Hofy, and Michael Spinelli. Congrats to my friend JJ Szabo who also made the cut!